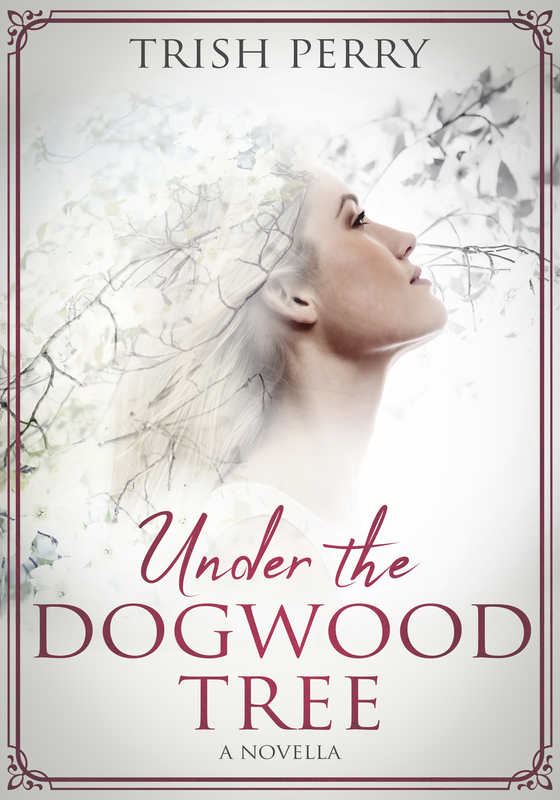 Reading, Writing, and the Stuff In-Between: Angela Ruth Strong and Free Books! Angela Ruth Strong and Free Books! A prissy tea drinker and sassy coffee connoisseur fight over the perfect location for their new beverage business until the current owner is murdered and they must join forces to prove their innocence. Congratulations! I'll email you for your snail mail address, and we'll get your book right out to you. I encourage readers to keep commenting and/or subscribe at right (above my list of books) in order to learn about new releases! U.S. subscribers are entered in the drawings a second time when they comment. 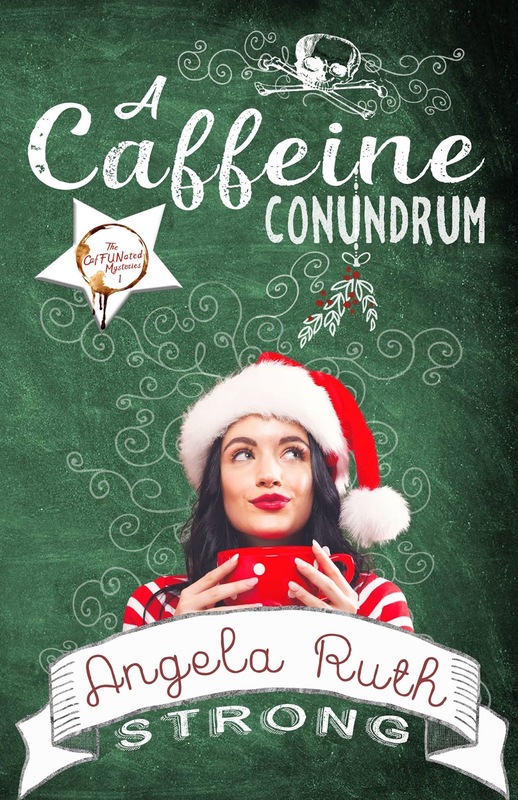 And now let's meet novelist Angela Ruth Strong, author of the Christmas cozy mystery, A Caffeine Conundrum, from the series, The CafFUNated Mysteries (Mountain Brook Ink, September 2018). 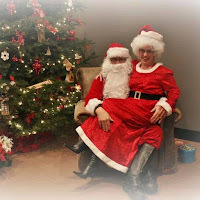 Angela Ruth Strong (pictured here with her own personal Santa) studied journalism at the University of Oregon and published her first novel, Love Finds You in Sun Valley, Idaho, in 2010. With movie producers interested in her book, she's rereleased it as part of a new series titled Resort to Love. 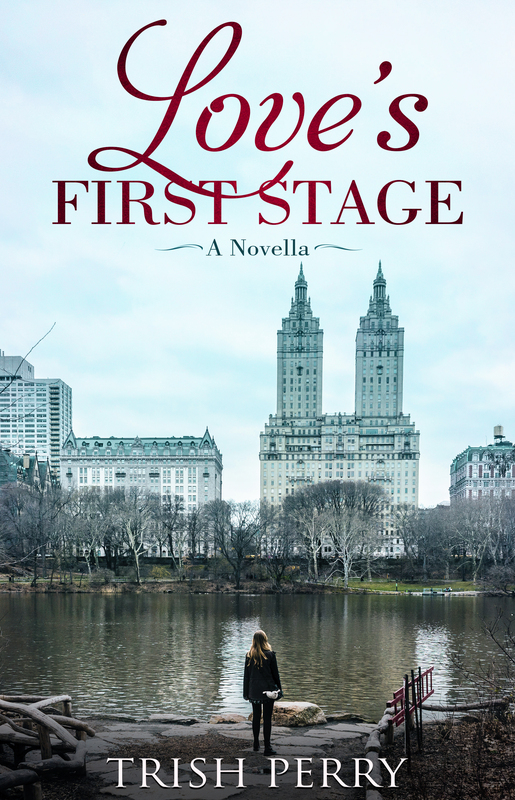 She's also written for Love Inspired Suspense and is excited to combine her enjoyment of a good mystery with the quirky style of her romance novels in the new CafFUNated Mystery Series. This Idaho Top Author and Cascade Award winner started IDAhope Writers to encourage other aspiring authors. She currently lives in Idaho with her husband and teenagers where she teaches yoga and works as a ticket agent for an airline when not writing. I once won a television and Xbox in a hamster ball race where I was the hamster. Please tell us a bit more about the plot of A Caffeine Conundrum. 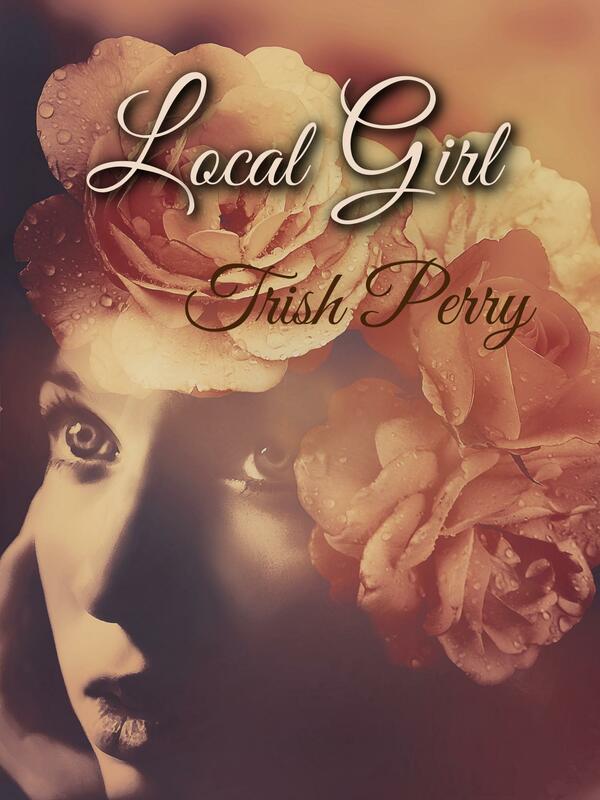 Sassy city girl Tandy Brandt moves to the small town of Grace Springs to start a coffee shop, never imagining she'll be competing with local beauty queen Marissa Alexander and her dreams of running a tea house. Unfortunately, the current store owner dies before selling the location to either of them, and they both become murder suspects. The unlikely pair team up in an attempt to discover the real killer, though with the secrets in Tandy's past and Marissa's infamous clumsiness they could be their own worst enemies. 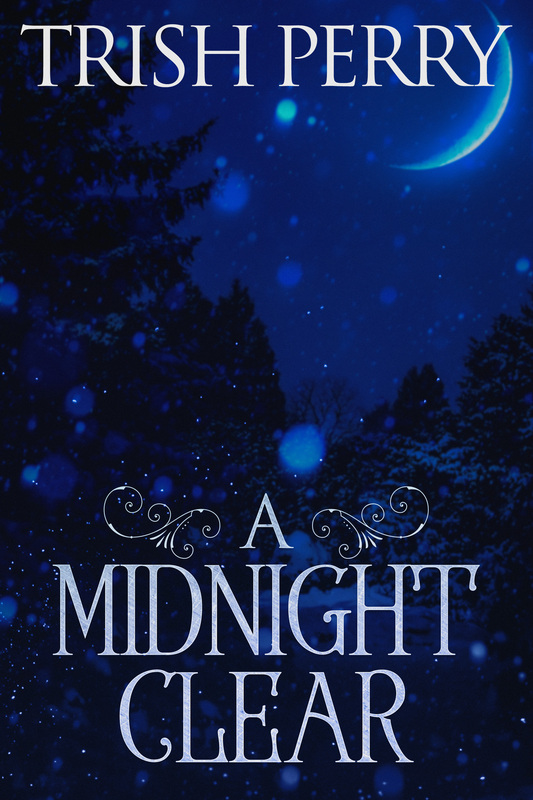 Despite their differences, they follow clues to question a sweet, apple pie baking antique store owner, a GQ Santa in the retirement center, and a hipster millionaire with no social skills. Will they be able to figure out whodunit and prove their innocence before one of them goes to jail...or worse? What is it about your characters that will make your readers care about them? Tandy was abandoned by her mom and tries to act tough and independent though you see her soft side with her love of dogs. Marissa was raised by controlling parents and often embarrasses herself when trying to prove her worth. What will make the readers care about them is their relationship in how they balance each other out even while trying to push each other over the edge. How do you restart the creative flow when you feel a block coming on? I put myself in my character’s shoes. My worst block came when writing Finding Love in Big Sky, and I realized it was because I know nothing about horses. I called my friend who owns a farm and asked if I could visit. That was just the inspiration I needed. So when I got blocked in A Caffeine Conundrum when writing the scene on the riverboat, I tried to get my husband to spend the weekend driving to Portland to go on a riverboat cruise. As supportive he is, he also has to keep me grounded. I visited riverboats on Youtube instead. Can't say I blame you for wanting to try the actual riverboat. Sounds fun. I'm always impressed with my writer friends who go overseas to research (usually for historical novels). I'm not the globetrotter they are. I really enjoyed Kara Isaac’s Then There Was You. So fun, so full of chemistry, a powerful message, and it had a great ending. Those are my main requirements of a good read. But don’t just take my word for it. Kara won a Rita for the novel, and it’s been nominated for many other awards. The next book in the series is A Cuppa Trouble. There will be four books, all set during holidays. This one is set during Valentine’s, and the mystery involves car thieves. So expect some love connections and high-speed chases. Which do you prefer—coffee or tea? And why? Thank you, Angela, for visiting and telling us about yourself and your book. 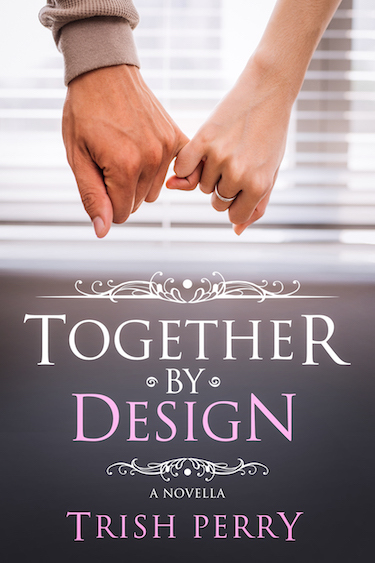 Readers, Angela has offered to give away an e-copy of her novel. To enter, leave a comment and your email below in answer to Angela's question, above. "Please enter me" won't get you entered. Remember that U.S. subscribers are entered an additional time in each drawing. The drawing is done by email, so leave your email address, like so: trish[at]trishperry[dot]com. This book sounds delightful! I love both coffee and tea. I have coffee on a daily basis...great way to start the day! 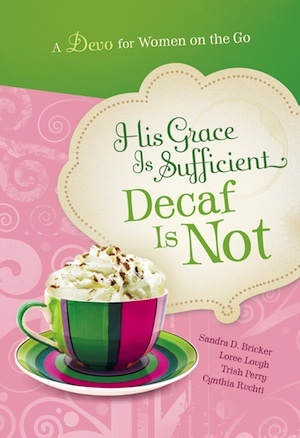 I enjoy cozy mysteries so would like to read A Caffeine Conundrum. I prefer tea to coffee. I don't like the taste of coffee at all. I'm pretty picky about the kind of tea I drink too, because I don't like things that taste bitter. This book sounds so exciting! I love both so I switch them up from time to time. I love coffee mostly in the morning but camomile at night. Coffee, all day long, every day!! I have to start my day with Iris Breakfast Tea. I drink up ti three cups a day. I may have a cup of decaf cofee or cocoa in the evening but usually not. All of it needs to have creamer and sweetnet! Sometimes I th8nk that’s what I like about it. I need a little caffeine in the morning and Irish Breakfast Tea just tastes good to me. An in the afternoon I need something to warm me up. Thanks for stopping by, guys. The vote seems pretty split! I pretty much drink coffee every day, but we tried the Whole 30 diet a year ago, and after a month of no creamer in my coffee it tastes SO HEAVENLY. The best tea I ever had was when my friend from Chile invited me over for breakfast. She served Te con Leche, which is about 50% warm milk. I've tried to make it, but it's not nearly as good as hers. I include this in my sequel, A Cuppa Trouble. Here's wishing you lots of good read to go with your favorite beverage. I like both coffee and tea, but coffee is definitely my go-to drink. Please remember, commenters, to leave your (altered) email when you comment--if you're the winner, I need to be able to contact you. I love both. A cup tea starts my day but a small pot of coffee keeps the day going. Melanie Dobson and Free Books! 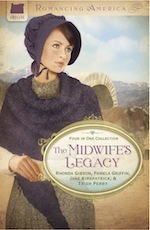 Linda Hannah, Deborah Dulworth, and Free Books! Melanie Dickerson and Free Books!